Capitalism is experiencing a prolonged crisis and is forcing structural changes in the global economic system to perpetuate its hegemony. Increasing financialization of the global economy is producing ever increasing concentration of wealth and inequity. These changes are devastating livelihoods of people across continents with many consequences on people’s health. 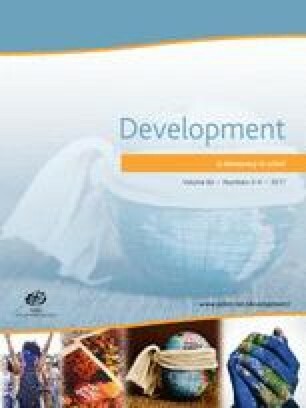 This article analyzes the global governance for health, the social determination of health and, finally, its commodification. It highlights the need of a global mobilization of civil society to build a transnational movement able to defend health in all its aspects. This text is a summary of a booklet downloadable on the following link: http://www.rosalux.eu/publications/the-struggle-for-health. Special thanks to Federico Tomasone and Mareike Post from the Rosa Luxemburg Stiftung without whom this publication would have been impossible. Global Health Watch. 2014. WHO Reforms: For What Purpose. Global Health Watch 4: 247–266. London: Zed Books. http://www.ghwatch.org/sites/www.ghwatch.org/files/D1_1.pdf.